An affordable way to enhance your home! 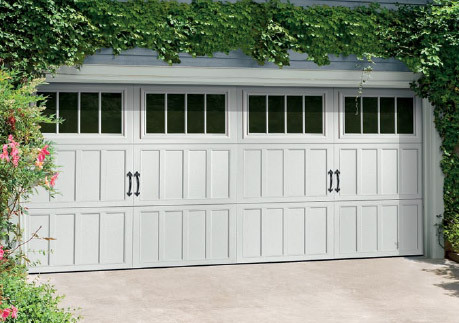 Discover new, customized replacement doors for less! Window World of Cleveland is a preferred provider of replacement doors for many homeowners. We want to give your home the beautiful, strong, secure doors it needs. Explore the latest in finishes and colors. Get started today and select your new front door from the options below! Love my windows. The noise reduction from outside traffic has been greatly reduced and there is no cold air coming in around the windows. The crew did a great job installing and cleaning up. Installation was expert and efficient on a very cold day. The installers were professional and courteous. Very pleased overall. From the first call to the office to set up an appointment, to meeting the salesman, having the fellow doing final measuring, setting the install date and the installers everyone has been very professional and pleasant to talk and with which to deal. I recommend Window World due to the personnel and also because I, in my opinion, find the window construction to be much better than the other two companies I called. The crew that installed my windows were quite efficient. After I showed them which rooms windows would be installed, they went right to work. I was amazed how quickly the installation took, it was very quick. They cleaned up after themselves and after they left one wouldn't even have known they were even here. Other than the nice looking windows that is. I was very pleased with the sales person through the reminder calls to the final contact. Very professional jobs all through the process. I give them five stars! Very professional and courteous. Installation was scheduled for 2 days, finished ahead of schedule and completed in a day. Clean, friendly and efficient. I would highly recommend! I had a wonderful experience with Window World. From my initial phone call to the final installation everything was handled in a professional manner. I would definitely get a price quote from this company if you were considering another window company. They were thousands less than the other estimates I had received for comparable windows. Installers were right on time. The crew members were awesome. Polite, excellent workers, just a great bunch of guys. They did a wonderful job with the windows. They were fast, re-explained the windows functions, and cleaned up any and all messes that were made. I couldn't ask for a better job and product. Everyone in this organization is beyond kind! The installers were very meticulous and friendly and Tina was helpful with all of my calls. I highly recommend getting your windows with this company. The price was very reasonable. Great job from the very start to the very end. Everyone was a complete professional, from anyone that I spoke with on the phone, to my sales representative, to the installers and anyone else, who I may have forgotten. The windows look great and the service was outstanding. Keep up the great work! Very rewarding and pleasantly surprised at the expertise and speed with which the entire process was completed. The beginning of the sale was a pleasant experience with Dave and the ensuing installation was well done by courteous installers. They cleaned the area they worked in and left the premises spotless. I highly recommend Window World to anyone needing replacement windows. GREAT COMPANY!